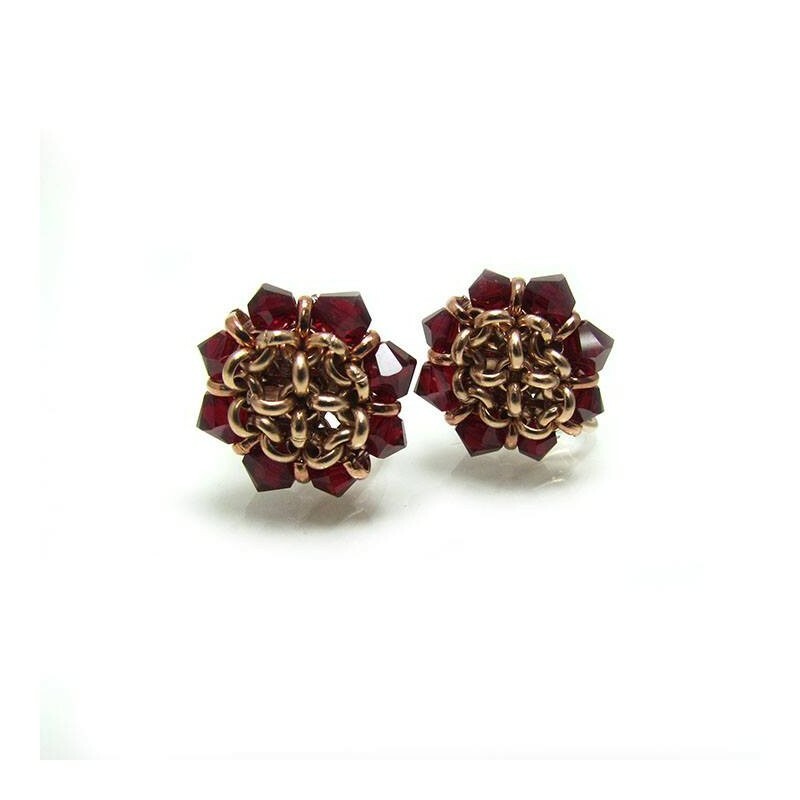 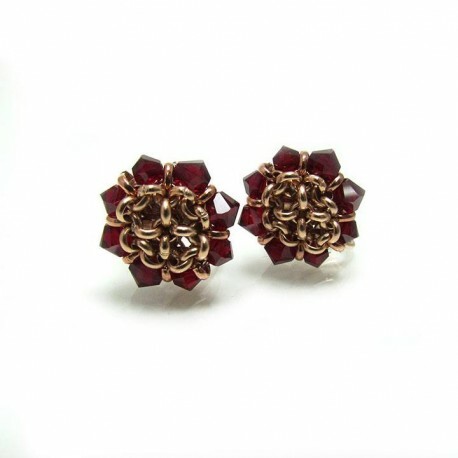 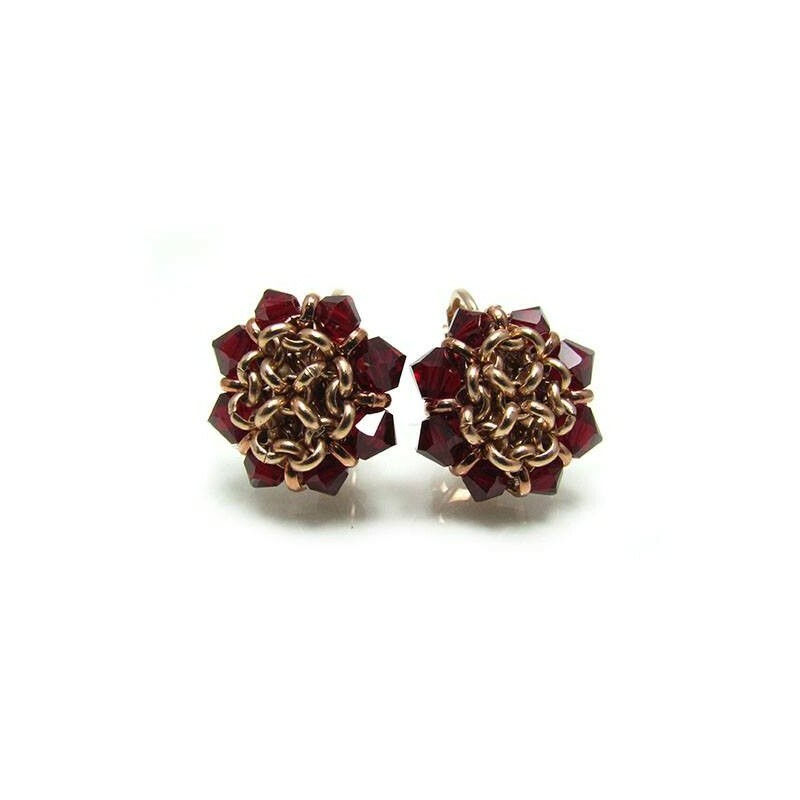 Vintage clip on earrings, fine earrings made of rose gold plated embedded of 8 delicate swarovski siam crystals. 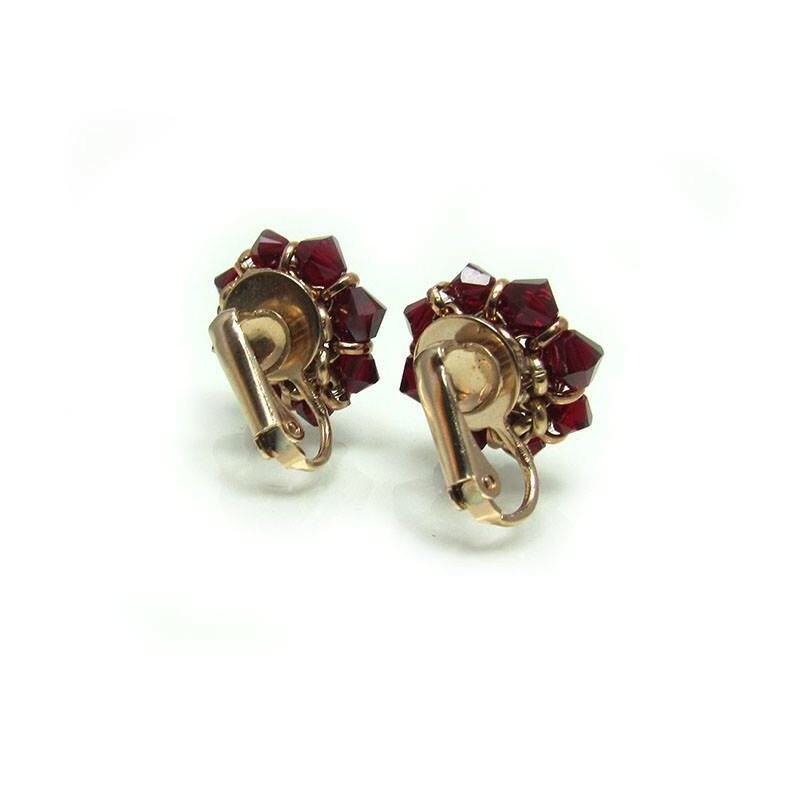 Vintage clip on earrings measure: 1.5 cm/ 0.6" approx. 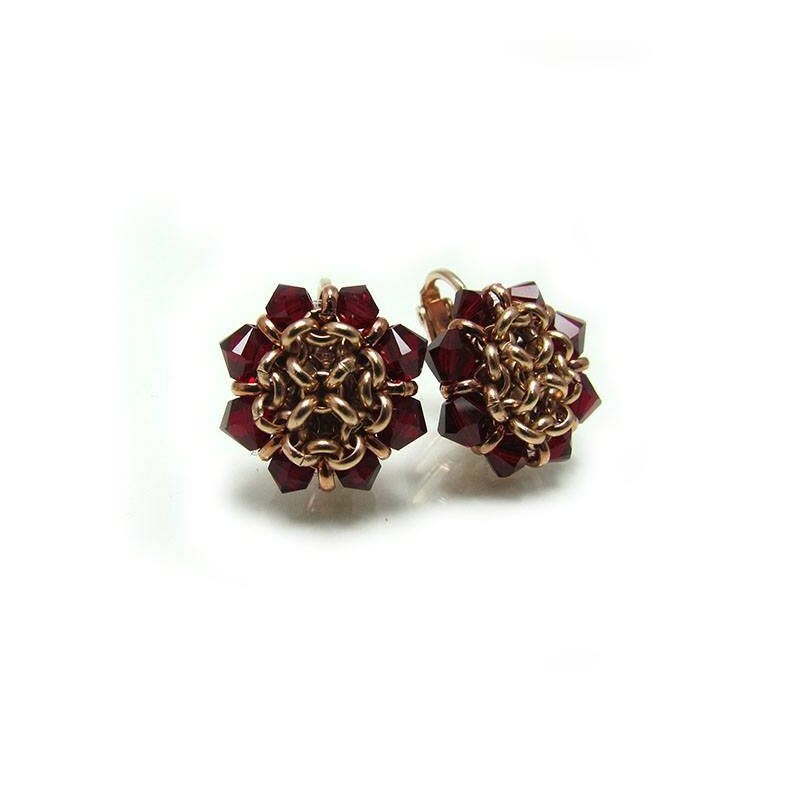 Vintage clip on earrings, elegant and luxury earrings suitable for mother of the bride, groom or anyone who want enjoy them in all special occasion.